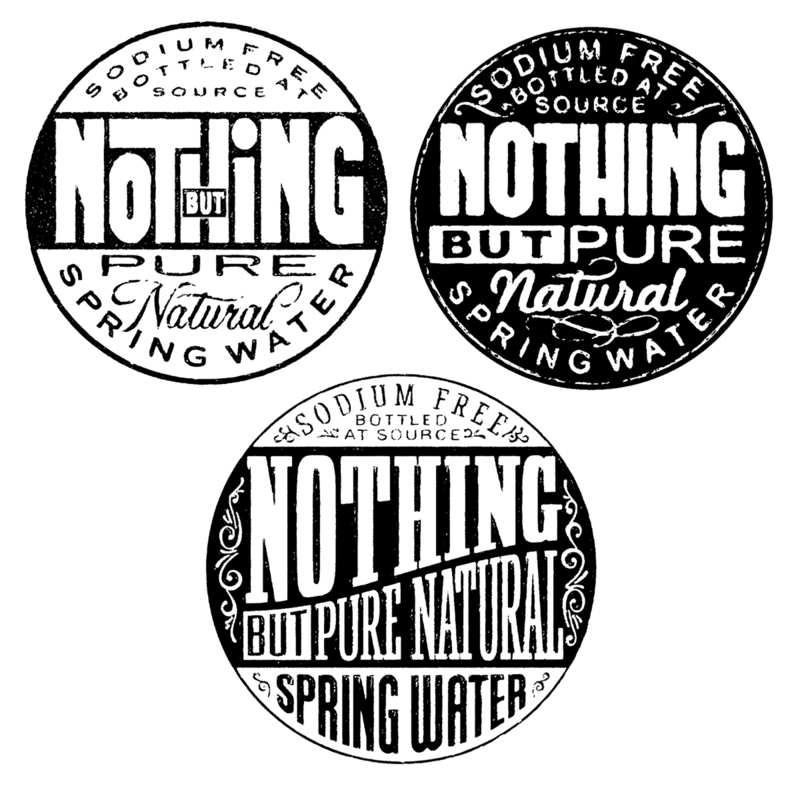 While archiving some files I found pencil layouts from a commercial project. 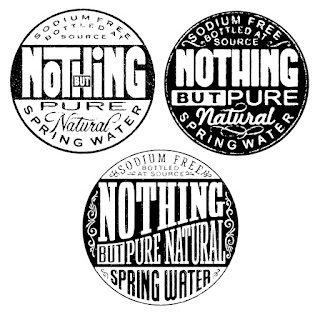 This was for bottled water with emphasis on the word NOTHING. Unlike preliminary sketches for a personal gestural lettering piece, commercial projects start with loose thumbnails that sometimes evolve into very tight pencil renderings. When drawing a tight layout with mechanical pencil and marker I use tissue overlays that are scanned as a multiple layer Photoshop image. The layers get flattened and posterized for presentation.